CIan has been developing websites for over 15 years and over that time the industry has moved forward dramatically. Gone are the days where websites are made up of static html pages where you need to have a web developer at hand to make even minor changes to your site. Sites have gone out of date rapidly and must now work on mobile phones, tablets and desktop or risk losing valuable customers. Cian is a php developer and specialises in wordpress web design and development. Cian actively encourages his clients to utilise a modern content management system (CMS) such as wordpress, so that once a job is done clients have full control over the content of a website, and not only that the menu structure and so on. 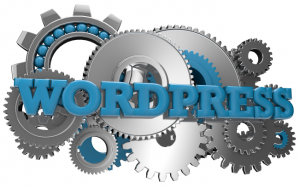 19% of the web today is built using wordpress, which is practically the de-facto standard blogging platform. With wordpress, you get a state of the art content management system, a blogging platform, media management and access to a plugin framework that will future-proof your website and facilitates amazing add on functionality through the click of a few buttons. If you choose our WordPress Web Design package we will set up everything for you and provide you with a custom designed site that works on mobile as well as desktop browsers and we’ll install and configure the best quality plugins available for tasks such as SEO, Social Media integration and more. New wordpress installation, configured correctly. The western diet consists of 3 square meals containing autumnal foods and more snacks in between, which means we are constantly eating for Winter. Discover 'The DEFoW Diet' and Escape the infinite autumn and get the physique you were designed to have.